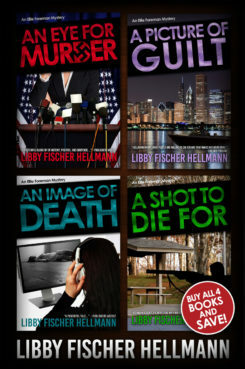 Don’t miss these novels, now packaged in a Box Set at a very attractive price. Complicated… fascinating… Hellmann has a beautifully tuned ear… which makes many of her scenes seriously funny. Hellmann owes a debt to fellow Chicagoans Sara Paretsky (complex plotting) and Barbara D’Amato (excellent research)—but she’s the brash young thing making this formula new again! Impossible to put down. Honest to god, mysteries don ‘t get any better than this.